If the word Porsche sends a thrill up your spine, you should not miss out on what Classic Porsche Magazine can bring to your life. 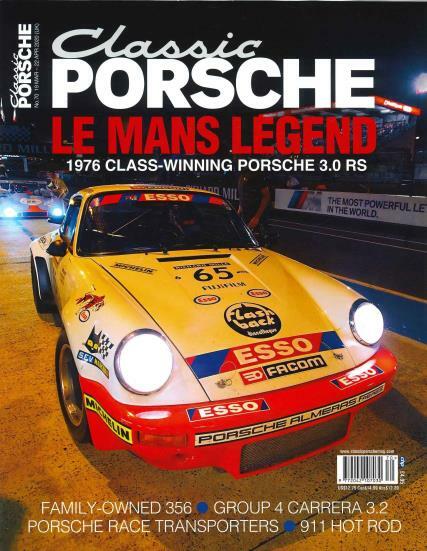 Buy a single copy or subscription to Classic Porsche magazine. It contains pictures of Porsches from the 1950s up and then follows it up with models from virtually every year of PreA and a handful of later 356’s and a whole host of later Porsches that is just what you asked for. With articles from all the experts and industry employees, Classic Porsche is a magazine with the most to offer! There are also stories of the owners with their cars and the reasons why the Porsche was the only car they would ever commit to. Sounds interesting? The features and exquisite detail with which the car’s anatomy is discussed is something that will definitely warm the heart of the true reader. The full page articles and features make sure to highlight what it is about the Porsche that makes it such a rage among its fans and if you are a recent convert, you will find out a lot more about your favorite vehicle! Unique magazine provides you with a regular fix of the Porsches and other motorcycle and car classics that you have been dying to read. And if you cannot get your hands on one of their copies soon enough, place an order to ensure that this copy is delivered right at your doorstep. Love that it is dedicated to Porsche and as a Porsche lover this gives lots of pleasure and knowledge in a dedicated part of the motoring world. Great magazine. Is looked forward to as each edition is published.